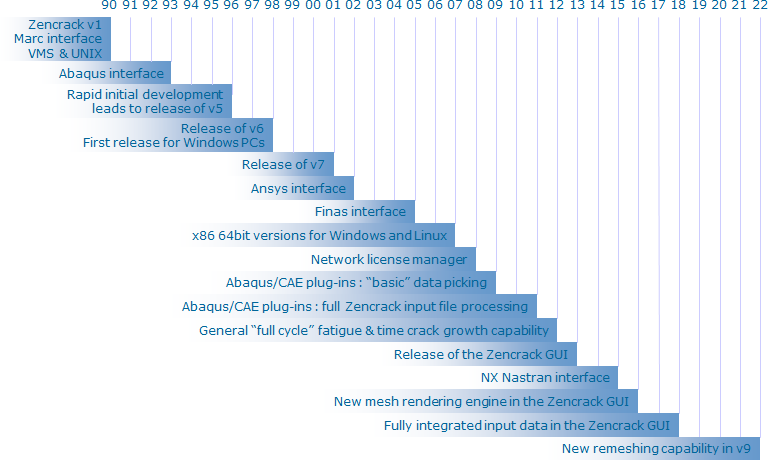 Software > Zencrack > Overview > What's new in Zencrack? The latest release of Zencrack is version 8.3-1 which was finalised in July 2018. The list below contains information about releases since version 8.0. Similar information for version 7.x is available here. The first commercially available version of Zencrack was released in 1990. Since then considerable development effort has been put into the software making it the 'tool of choice' for 3D fracture mechanics applications.